Rowing tends to be quite an unsual sport in that, unlike cycling or swimming, there are large portions of time during the recovery where you are not applying a force to move the boat forwards, meaning that a boat is always accelerating and decelerating from stroke to stroke, and that the fastest boats might not always be the ones who apply the most force during the drive phase, but might be the ones that are better at minimizing the deceleration of the boat during the recovery. The Biorow website has an interesting paper which looks at and describes the boat acceleration of a Olympic level crew here, but I wondered if there is a way that you can work on how to properly accelerate a boat when training on land? 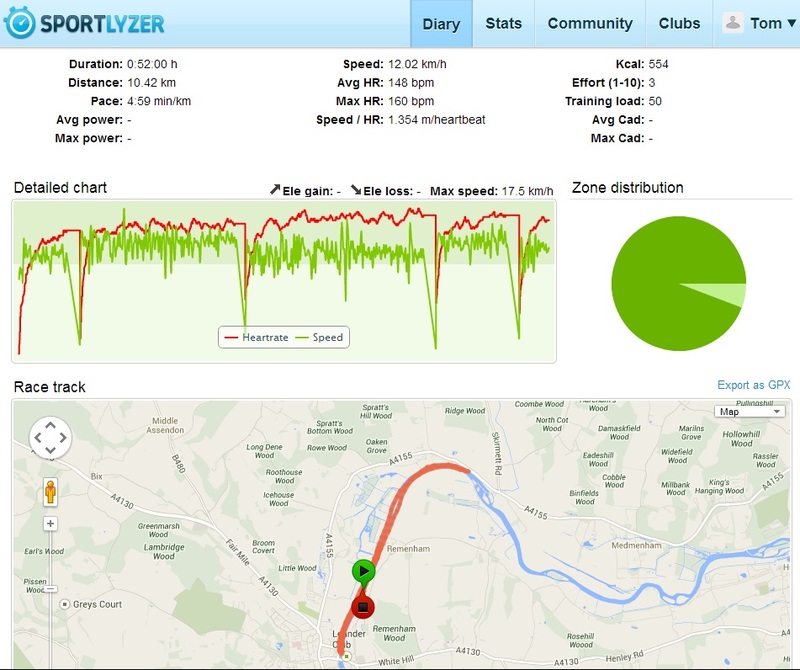 Quite often dynamic rowing machines are talked about as better boat simulators that the static Concept 2’s that are usually used in training, so I decided to test this by tracking the acceleration of a rowperfect whilst I do a piece on it, and then comparing it to the acceleration of my single whilst doing a similar piece. 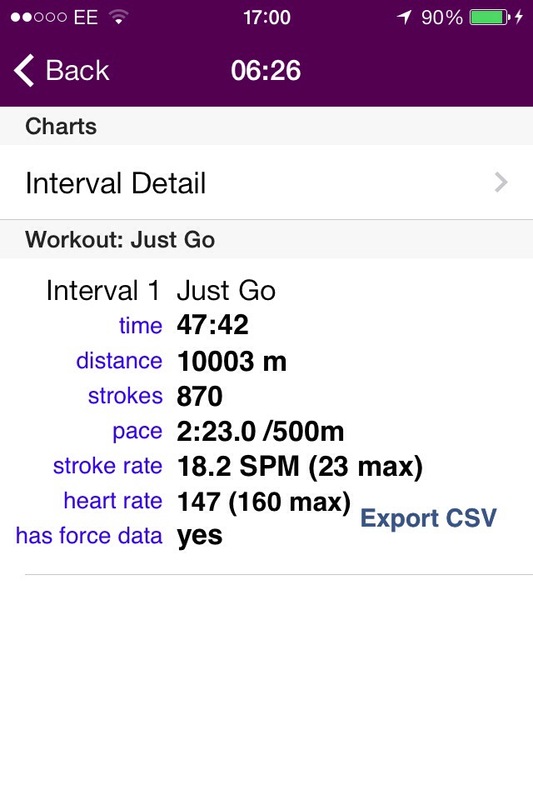 To measure the acceleration I used my iPhone and the crew nerd app (formally NK Speedcoach app) which has a feature where you can log the detailed acceleration of the boat, and so for this test I did a 10km scull one day and then a 10km session on the Rowperfect, both set at rate 18. Although not exactly the same (the scull demonstrates a much higer value of acceleration for one), it is interesting to note that the two are largely similar, they both show a large “negative peak” before the catch, as was shown in the biorow paper, followed by a first peak, then a drive hump. Where the two seem to differ is in the second peak where the single seems to have a much higher maximum acceleration than achieved on the rowperfect, the reason for which isn’t really clear. That being said I think it does show that a dynamic erg is a useful tool for being able to train the general type of acceleration on land that you would want to encourage on the water, so would be a useful tool for those trying to maximize the efficiency of their rowing. 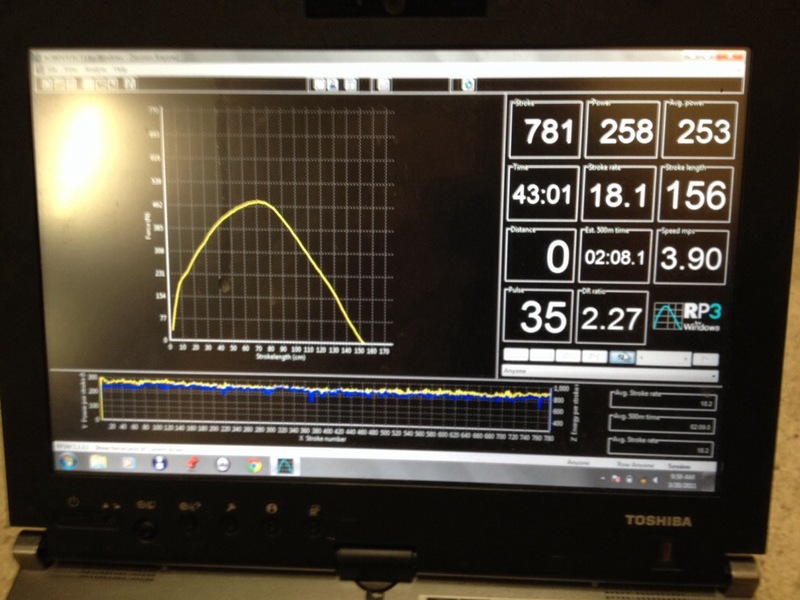 This entry was posted in Biomechanics, Rowing software. Bookmark the permalink. I have noticed that there is a slight difference in feel between the run of the Classic RP and the 1x . It is not great but not “quite” the same. The other difference is on the catch where you can load up much quicker at the front end which will tend to stop the boat (at rate 18) on the water. When I upgraded to an RP3 I noted that the feel was much improved on the run aspects over the Classic. You are welcome to try mine out Tom. Interesting observation, ive only really used the RP3 when it was at Henley this year in the warm up bay and I hadnt really thought of “feeling” if there was a difference, what do you think causes the difference at the front end? Would that second hump of accelleration be due to blade efficiency – best at the catch and at the finish, and worst (due to ‘slip’) when the blade is perpendicular to the boat. I have also been coached this summer to be fast at the catch, steady through the drive, and then fast hips at the finish. Plus the bend of the blade handle will have a fair amount of stored energy in the bend to help the send – none of which exist in the dynamic. 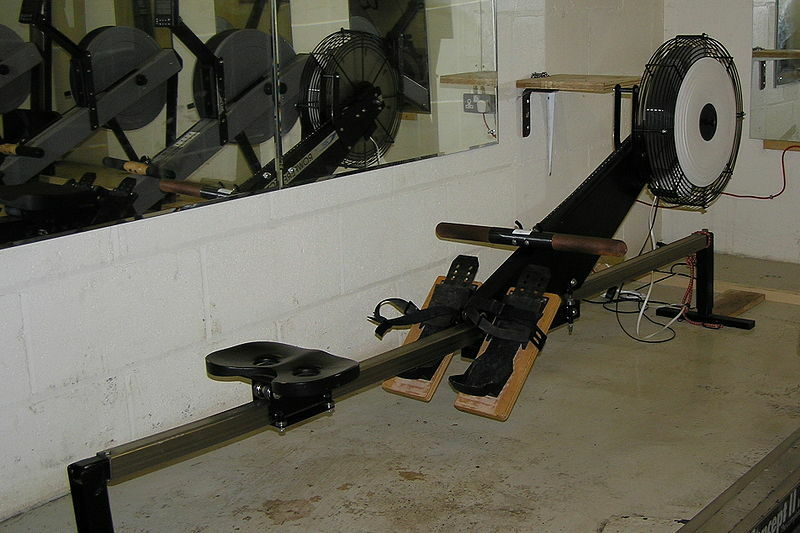 I use the C2 Dynamic erg (for three years) and really appreciate the difference compared to when I get on a fixed head at the club.